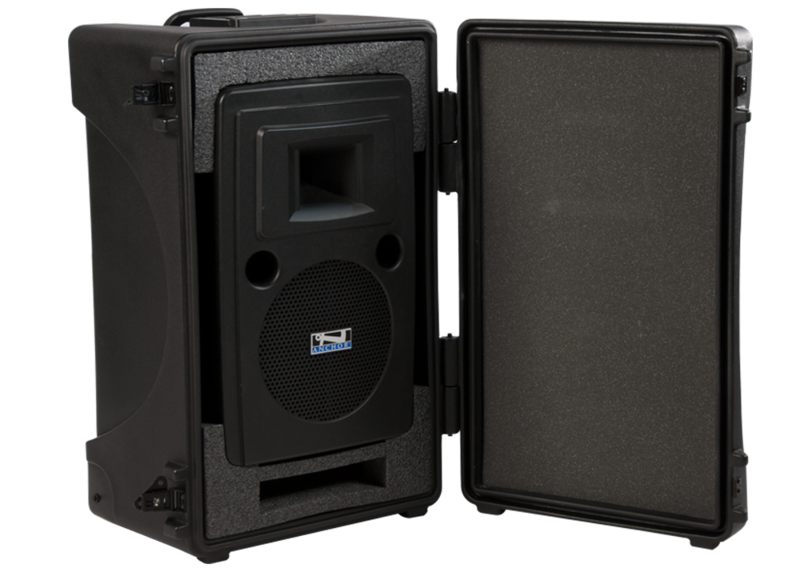 The HC-ARMOR30 is an Anchor Armor® rolling hard case for the Liberty 2 portable sound system. With a retractable handle, wheels, and custom cut foam inserts, the Liberty 2 can be safely and easily transported from school functions and sporting events to community celebrations and ceremonies. Take the Anchor Audio Liberty 2 portable PA system along on trips and know that the product is secure during transport in this rugged rolling case. Plan on traveling and want to take the Liberty 2 along? Store it in the HC-ARMOR30 and check it in as baggage for easy transport on a plane.